Shymkent, Kazakhstan - June 18, 2018: Water park. Waterslides. 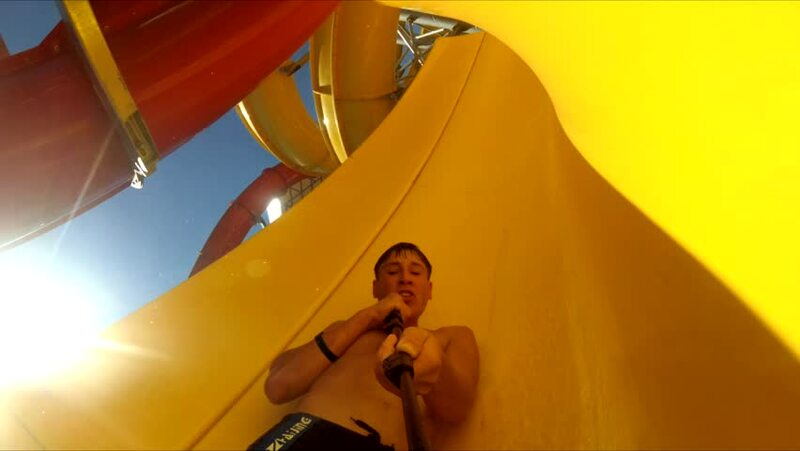 The man rolls down the water slide. 4k00:07Cute young woman in yellow raincoat standing on lifeguard station at sea at miami beach. hd00:07Girl teenager sitting on a bench in the Park using the phone.